Since 1891, Western Chief® has been making boots to hold up against tough weather conditions. With a deep heritage in boot making, Western Chief continues to provide boot options for outdoor wear. 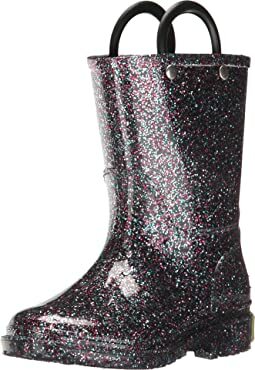 Footwear offerings range from lovable character rain boots for kids, whimsical and cozy boots for women, durable work boots for men, and more. Whether you need boots for play, trudging through muddy fields, gardening, navigating city streets, or every day wear - Western Chief has you covered with affordable, functional boots to fit your lifestyle. 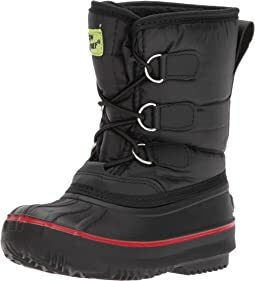 I had to order this boot 3 different times to find the right size. Western Chief boots run very large in my opinion. My son is currently a size 11, but everyone recommends us to buy a 12 so that he has room to grow. We went with the size 11 on these boots and they’re still big with room to grow. Very cute pattern! He loves them!!! 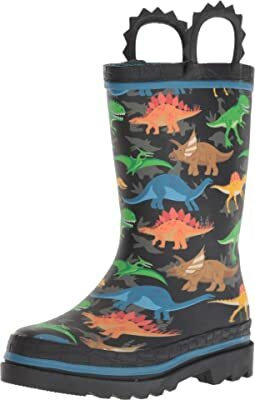 My 2.5 year old son loves the dinos and splashing through the puddles. Unfortunately, one of the pull straps broke with only the second wearing, but the replacement pair has worn better so far. Great. 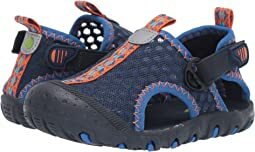 My toddler LOVES them and she can run in them, so they've got to be somewhat comfortable. 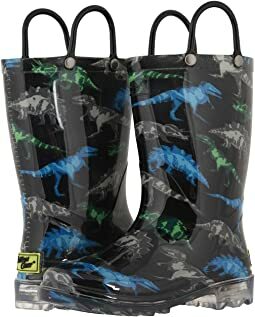 Both my kids love their Western Chief rain boots. When my oldest outgrows one pair, we always order another in the next size up. These boots are durable enough to be hand-me-downs. 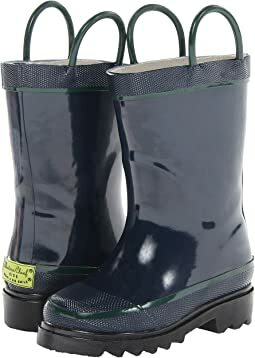 Other rain boots we’ve owned haven’t held up to regular wear for one kid, but these are so tough and have held up very well. 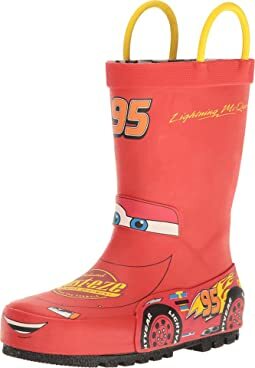 And my two year old loves that he can put these on by himself. Cute but runs small compared to last year's version. I re-ordered the same item from my prior orders page (so I know it was actually the same item) and the size 12 was smaller than last year's 11! Great fit (run true to size), great quality, and soooo cute! My granddaughter picked the style and it did not disappoint. 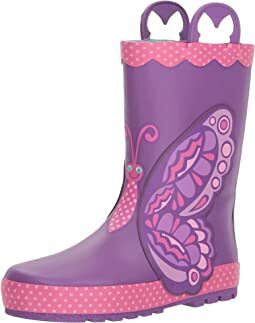 I love that the boots are totally waterproof as she is a dedicated puddle jumper. 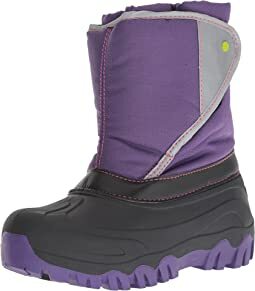 We have already tested them and they truly are waterproof! 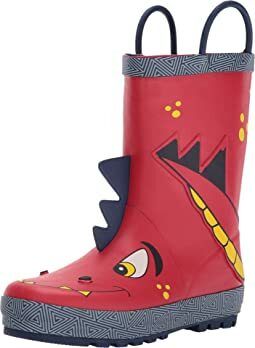 My son loves his new rain boots! They fit well, seem well made, and the light-up feature is really neat! 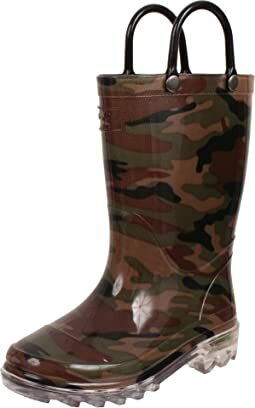 The photos of this boot is exactly what you get. 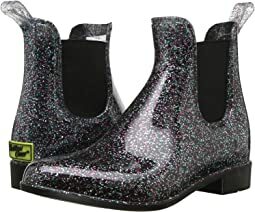 My child was very excited to wear these but by the third day of use, the back seem (above the heel) was already splitting apart, much like another reviewer said happpened. Very disappointed with how short these "lasted". 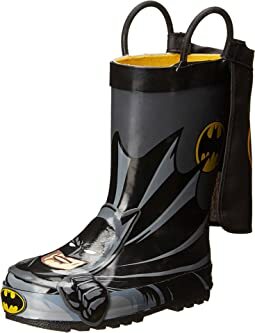 These rain boots fit true to size. My 3 year old wears a 7.5 and the 8 gives her enough room for thick socks. She wears these boots even when it's not raining and she's had them for almost 3 solid months, these boots look like they did the day we bought them. We'll definitely get her another pair when she outgrows these. My granddaughter loved them the minute she put them on. They fit perfect. She had quite a bit of room for her to wear it next winter. The price was great as well. Thank You! 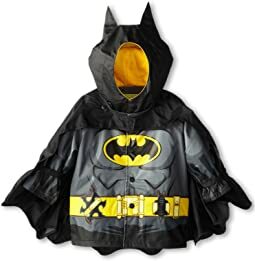 Purchased for my 4 year old daughter. They are good fit in a fun pattern she loves. The edge fusing and seaming seem to be well built, but we've only had them a week - but so far feet have been dry no matter how much puddle stomping has happened. Adorable! My 5 year old loves them! 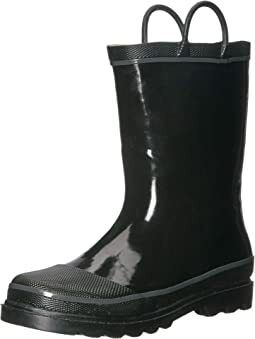 Perfect for jumping in puddles. 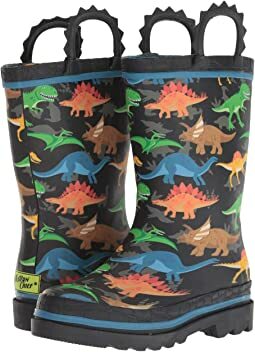 My grandson hasn't received these yet, but I bought these because the last pair of Western Chief rain boots that I bought for him 2 years ago have held up very nicely and still look new. I have confidence these will do the same. I am pleased with the quality and design. My son went to try the boots on for the first time and one of the little handles broke instantly. 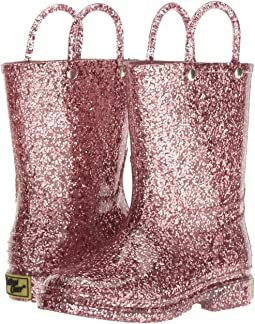 Very cute boot! He loves tractors so I’ll be ordering a new pair and in a smaller size since the seemed to run a bit bigger. Hopefully this pair was just a fluke and broke. Fits true to size my 4 year old loves these boots. Nice quality. 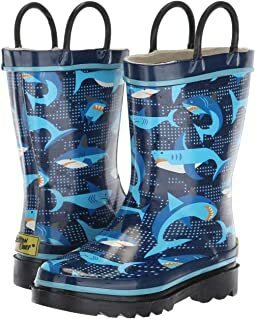 These seem to fit my kiddo well and be comfortable. If they are at all big, however, they slip off easily. 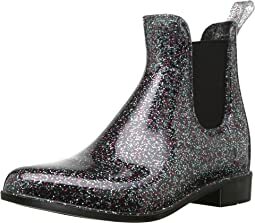 Super cute, yet a bit too stiff for a rain boot. 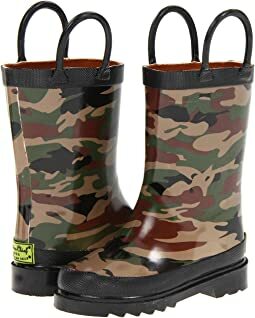 Very disappointing boots. After 1 month, they broke. The soles had holes in both boots then the rubber on top of the toes perforated. 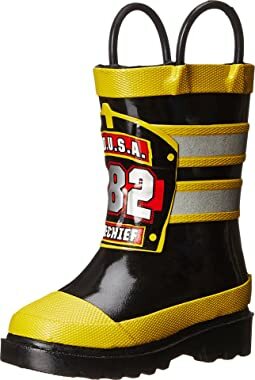 I don't recommend these boots at all especially for a child. Like others have mentioned, the back seam on these boots ripped open after only a few wears. 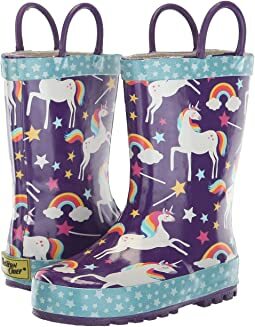 Very disappointing, as they’re super cute and my daughter loves them. 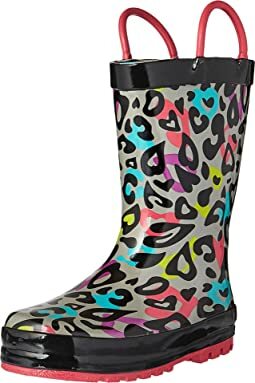 Ironically, they were a replacement for another pair of Western Chief rain boots (same model, different print) that lost a pull-on strap after only a few wears! I hope the company gets this quality issue worked out. Sending back and won’t make the mistake of purchasing a third time. 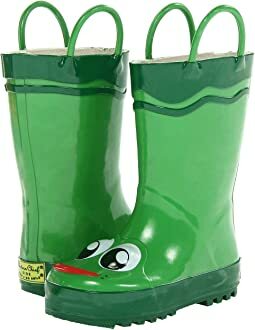 Very cute boots! 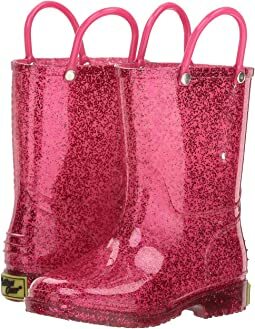 I purchased these for my 10 year old daughter to walk home from school on rainy days. She loves them and sometimes wears them on sunny days too! Amazing. Nothing but compliments wherever my son wears it. 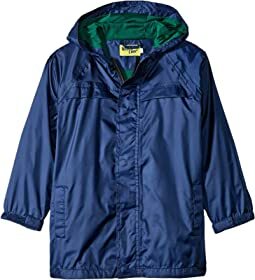 Very easy to button up/unbutton, and they cape is attached securely enough to where a simple tug won’t pull it off, but a snag would definitely release it. My 5 year old loves his new boots! I purchased a size 13 and they fit good with room to grow. The boots were a good buy. Thanks zappos for the extremely fast shipping.